Since inauguration day on January 20, President Trump has signed a number of executive orders, including a few that will affect current U.S. federal regulations. What does this mean for the trucking industry and trucking regulations? Let’s examine. While proposed changes have attracted both criticism and praise, the Trump administration believes that regulatory reform in general will create more jobs and reduce unnecessary costs. Many trucking companies are hopeful that it will provide opportunities for a more inclusive and data-driven approach to regulations. On January 30, an executive order to suspend any new regulations for 60 days was issued, and because several trucking regulations were in varying stages of implementation, companies throughout the supply chain are left wondering what’s here to stay and what’s up for debate. Though the regulatory freeze blocks new regulations from being enacted, those already made into law won’t be affected. This includes the controversial ELD mandate, which officially became law in December 2015. Industry analysts agree that the impending December 18, 2017 compliance deadline will remain in place, so carriers should make sure they’re prepared. In December, the Federal Motor Carrier Safety Administration (FMCSA) imposed national minimum training standards for entry-level commercial truck drivers. Unlike the ELD mandate, this rule is impacted by the Trump administration’s regulatory freeze. As of now, the FMCSA has pushed the effective date from February 1, 2017 to March 21, 2017, but the compliance deadline of February 7, 2020 has remained unchanged. Last year, the National Highway Traffic Safety Administration (NHTSA) and the FMCSA issued a proposal that would require speed limiting devices on heavy trucks (over 26,000 lbs). 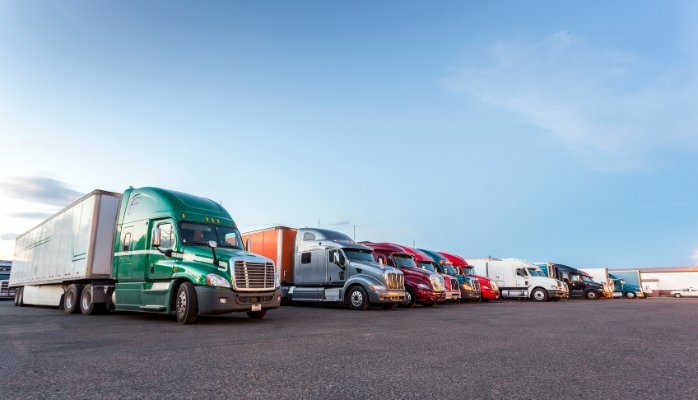 The mandate has been highly criticized by the trucking industry, and because it is still in its early stages, it will likely be cut by the Trump administration. The Environmental Protection Agency (EPA) is working on emissions regulations that require a reduction in tractor-trailer carbon emissions of up to 25% in the next 10 years. Because Trump’s appointed EPA administrator does not believe carbon dioxide is a primary contributor to global warming, this initiative is also on the chopping block. In addition to the 60-day regulatory freeze, Trump has issued a second major regulatory order that requires federal agencies to revoke two regulations for every new regulation implemented. Despite questions from critics around the logistics of enforcing the policy, this two-for-one approach could potentially ease burdens on smaller trucking companies and owner-operators, who are often hit the hardest when new regulations come into play. Whether the trucking industry will benefit from the Trump administration’s regulatory approach remains to be seen. It ultimately depends on where trucking falls on the administration’s priority list, as any legislation takes a considerable amount of time and resources.